Ar. k’ack, kaâk and awwamaat, O.E. kaak Eng. 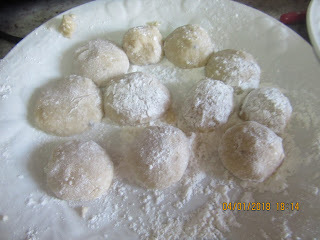 ka’k, cake or round dry bread like biscotti, Lebanese doughnuts, “little coiled things,” a medieval dessert adopted from the Arabs consisting multitude of round pastries made from various types of dough boiled and then baked until very hard. Two varieties have been found, one using matzoth meal soaked in honey is common in modern Sephardic households today. A recipe for this type of biscotti is included in Ibn Razin’s Fadalat and is stuffed with honey. The second variety consists of any finely-milled flour, well kneaded, left to rise and then finely chopped almonds and bran are mixed in with white sugar and rosewater. After being shaped into doughnuts they are baked or fried in olive oil and sprinkled with sugar. The Anon al-Andalus gives four recipes for making plain and stuffed biscotti. Several recipes call for dough made like ka’k. Nola’s recipe has nuts in it and is served with honey. Make a dough mixing flour, yeast and1 tbsp sugar with oil and ¾ c water. Cover and let rise. Grind 2 c sugar and almonds until smooth. Add enough rosewater to knead it. Combine it with the dough and add spices Make ka'ks, little cupcakes, with this paste. Dilute starch in water making a thin solution, without salt, and leave it in the leavening until it rises. Then pour in honey and beat it smoothly. Then dip the ka'ks in it, one after the other. Heat olive oil or almond oil in the frying pan. 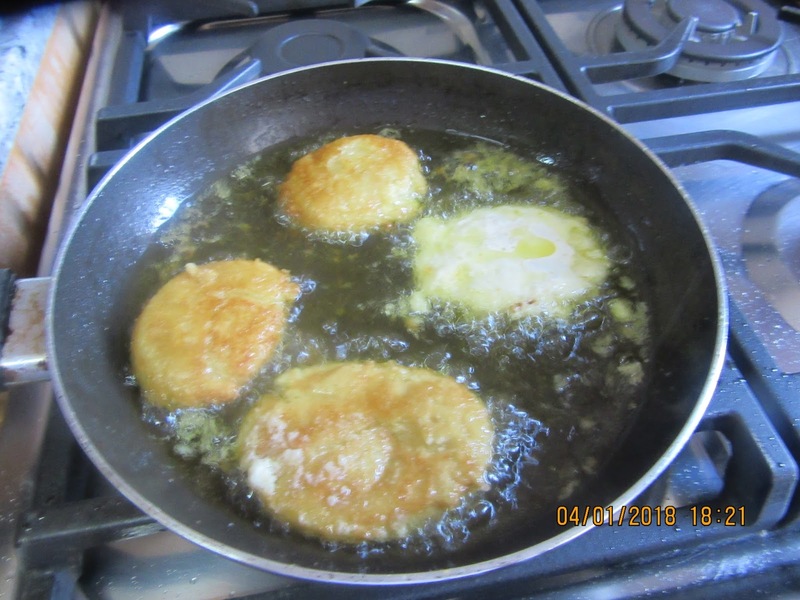 Add ka’ks and fry lightly. Dip them in julep syrup or of honey. Then you roll them in sugar, if God wishes.